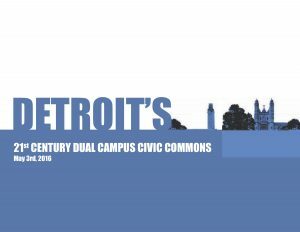 This presentation was part of the Detroit demonstration team’s proposal to participate in Reimagining the Civic Commons, submitted in spring 2016. This project supports the development of a civic commons in a neighborhood lacking traditional civic assets, removing the barriers that separate two anchor institutions from the community that surrounds them through the creation of a new public realm. 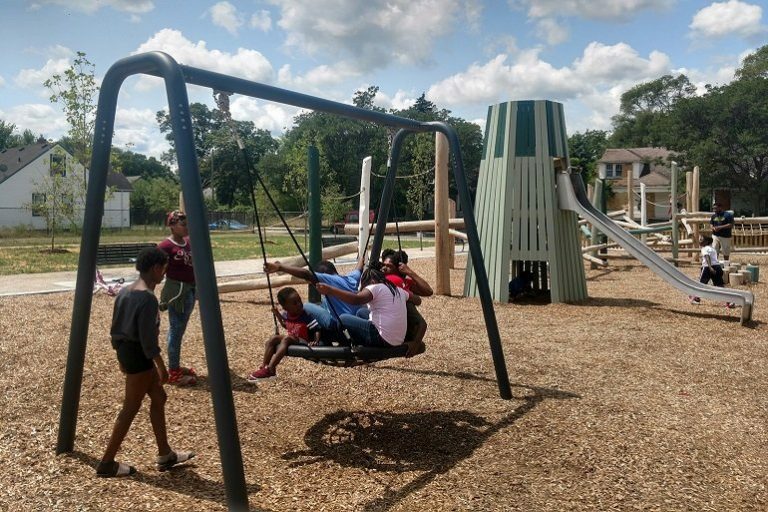 The reimagining of more than 25 acres of vacant parcels scattered across the Fitzgerald neighborhood into a new set of amenities includes a passive recreational greenway and a linear connection between Marygrove College, the University of Detroit Mercy and the community. The project team is partnered with workforce development programs that train residents in green-collar construction and maintenance jobs and allow residents to participate in the revitalization of their communities. 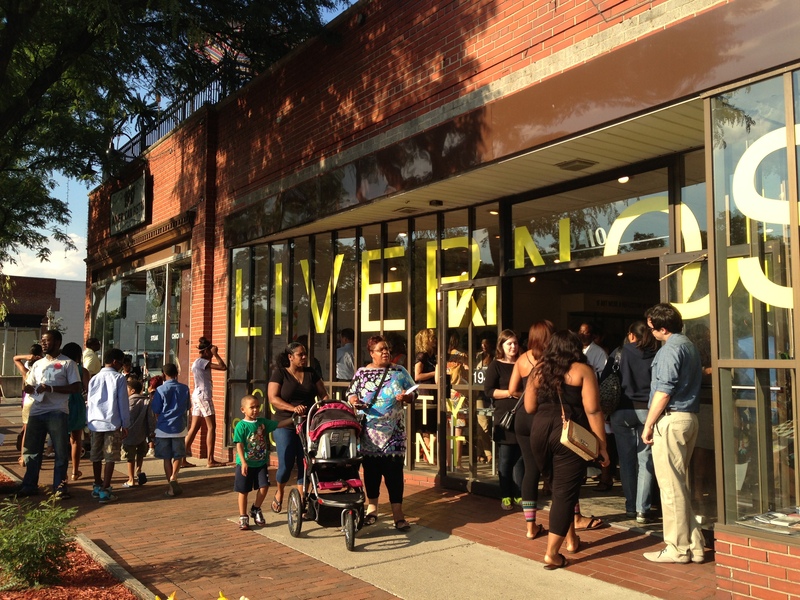 Revitalizing obsolete, one-story commercial structures and multiple vacant parcels on Livernois Avenue directly across from the University of Detroit Mercy campus creates multiple benefits: a traditional Main Street with mixed-use retail anchored by local entrepreneurial talent, a new front door for the campus and gathering places for the neighborhood. Critical to the success of this project is the need to rejuvenate the civic character of the neighborhood by investing in and uplifting the communities of residents, students, faculty, staff, businesspeople and property owners. This investment in human capital builds trust within the community, in city government, at the universities and with development actors. It also provides technical and employment support for businesses and residents. Detroit’s project is located in a neighborhood that is among Mayor Mike Duggan’s top priorities for revitalization, offering an opportunity to reimagine the civic commons in a way that is especially relevant for cities and neighborhoods not rich in existing civic assets. Can Detroit’s Turnaround Go Beyond Downtown?